When I first started attending yoga classes, I skipped out on the savasana. As a busy mom and overly active gym rat, I didn’t have time in my day for what looked like a post-workout nap. As I fell in love with the discipline and decided to train to teach, it slowly became my favorite part of my practice. 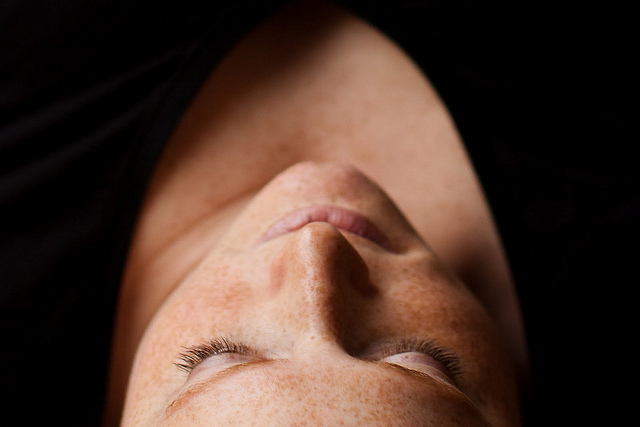 Savasana, typically executed in corpse pose (lying on the back, body relaxed and eyes closed), offers the participant a time of silence, stillness and refreshment. A chance to fully assimilate the benefits of the work already done. This quieting of the mind and body is an art, a gift, but also at times a subtle struggle. As a believer, I wrestle in much the same way with stillness and silence in prayer. I get fidgety, my mind wanders and I sometimes get uncomfortable, but the discipline is worth the effort. Without silence, I risk missing the still, small voice of the Holy Spirit. I miss inspiration and instruction. So silence has become, for me, the ultimate act of surrender to God. A sacrifice of my time and energy for a greater good. A great source of strength.